What weight do hedgehogs need to be to survive hibernation? When should you start to worry about the weight of your visiting Autumn hedgehogs and consider whether they need to be over-wintered by a rescue? I welcome the recently revised joint advice on this subject. There has been much confusion and conflicting views on this topic over the years with the result that many hedgehogs may have been ‘rescued’ that didn’t need to be, whereas others may have perished unnecessarily. It is important to remember that pictures of hedgehogs in hedgehog rescues may look cute but captivity is extremely stressful for any wild animal. It should never be undertaken without full consideration. Captivity can cause as many problems as it seeks to resolve. Internal parasites tend to increase in captivity due to stress. Problems like ringworm can be caused or exacerbated by the stress of captivity. Without proper hygiene, bacterial infections can rapidly spread between captive hedgehogs. It is important to consider all these factors when considering whether a hedgehog needs rescue. You can read the new advice here. Based on this, hedgehogs weighing less than 450g found between mid October and February are likely to be in need of rescue even if only being seen as night. Hedgehogs under this weight are unlikely to have built up enough fat reserves to survive hibernation. Hedgehogs may have a better chance of surviving hibernation at 600g+. To weigh a hedgehog, you will need to wear thick gloves. Place the hedgehog in a container on the scales to stop it wriggling. Any hedgehog found out in the day (particularly in Winter outside of the summer nesting period), however, is also likely to be in need of rescue regardless of weight and advice should be sought urgently. You can give hedgehogs the best chance of getting to a suitable weight for hibernation by providing supplementary food and water well into the Winter period. Due to the fact that internal parasites can rapidly multiply in captivity, I would not advise over-wintering a hedgehog without the advice and support of a nearby hedgehog rescue. 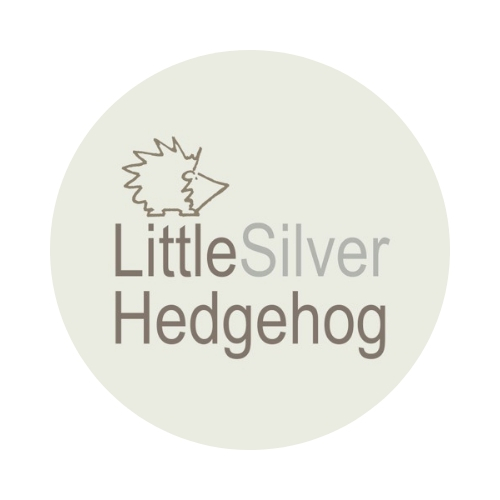 I have had many a call about an over-wintered hedgehog that has suddenly gone downhill and has been beyond saving, after having been cared for by a well meaning person but with no specialist knowledge. They can seem to be doing okay but, once the parasites multiply, they can go downhill extremely rapidly. This is a terrible situation for the hedgehog, the carer and the hedgehog rescue that has to try and fix the hedgehog. If you have successfully over-wintered a hedgehog, you may also find this advice about releasing them back to the wild useful. I run a hedgehog rescue in York, England. You can read more about me here and also how to support my work. I also make silver jewellery inspired by nature and wildlife and you can visit my online shop here.